Trust systems will convert to RCB Bank systems in June 2019. We are pleased to welcome the Central Bank and Trust Co. customers and staff to the RCB Bank family. Conversion officially completed on Monday, April 1, 2019. Please continue banking as usual as there is no change to the way you use your Trust accounts. 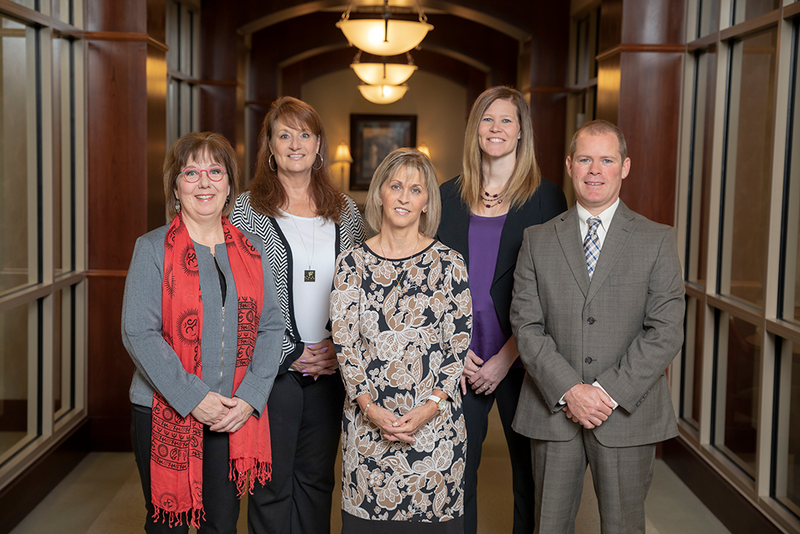 Stop by your local RCB Bank Trust office to see your trust and investment officer! The same people that you’ve come to trust are still servicing your accounts. What can you tell me about the merger? This merger joins Central Bank and Trust Co. and RCB Bank to provide full financial service opportunities in 32 communities ranging from Kansas to Oklahoma, creating one leading provider of retail and commercial banking services. The merger completed on April 1, 2019. RCB Bank was formed out of a need during the Great Depression. Good people were struggling. They needed a hand and banks were not meeting their needs. RCB Bank founders stepped in to help local citizens keep their farms afloat and their businesses operating. They made bold moves to lend money because they knew a person’s character, not just their account balance, was worth investing in. Because of our progressive spirit to loan in tough times, we have had the honor over the years to build loyal customers and serve the needs of multi-generation families. It is an honor when our customers give us feedback like one of our recent Google Reviews, “Always been there for me!” – Five stars! RCB Bank is about relationships, community and boldness. We believe building relationships with our customers will help us to better understand and serve their needs. We believe in building stronger communities by providing financial services to help citizens thrive and local businesses grow. We are willing to take bold steps and meet the needs of the community, even in tough times. We understand that you may have questions regarding this merger, so we have compiled a list of questions and answers below for your reference. Click on one of the merger questions below to learn more. Have the branch hours of operation changed? No. There will be no changes to Central Bank and Trust Co.’s branch hours at this time. Will any of my scheduled transactions (direct deposits, interest payments, ACH, etc.) be affected? No. All scheduled transactions will continue uninterrupted. Effective April 1, 2019, you will need to update all auto-payments/direct deposits with RCB Bank’s routing number (103112594). Will the routing number change for wires, ACH withdrawals or direct deposits? Yes. Effective April 1, 2019, the routing number should be updated to RCB Bank’s routing number (103112594). Items will still process with the former routing number, but it should be updated to RCB Bank’s as soon as possible after April 1, 2019. If I have more questions, who do I call? Please call or stop by your nearest Trust office. Please share your questions with us. We want to make this transition as smooth as possible. Will my Central Bank and Trust Co. account number(s) remain the same? Yes. Your account number(s) will remain the same. Will I still be able to access my account(s) online? Yes. You will access your account(s) online by clicking the button above. Continue using the same User ID and password until otherwise notified.